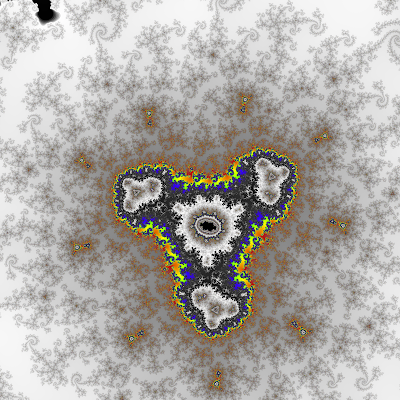 A fragment of the irregular Mandelbrot set. 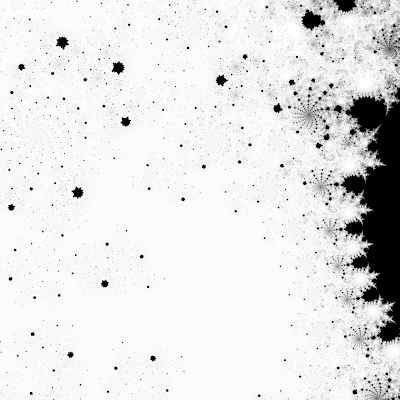 However, when the first impression of infinite variation fades, you'll probably notice that the whole image is based on the same pattern, repeated with several variations (well, that's why it is called fractal, after all). And it is pretty boring. But the difference is not really drastic. 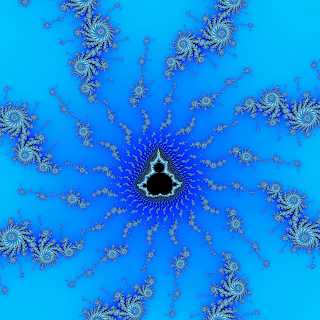 A Mandelbrot-like fractal, obtained from the non-homomorphic function. This can be explained in the following way: on each iteration, non-homomorphic function scales small vicinity of each point non-uniformly. 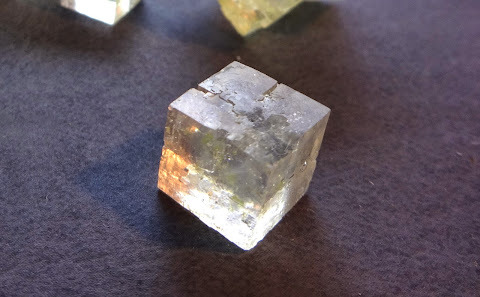 And even if the non-uniformity is small, after a number of iterations elements become "squeezed" in one directions, producing the "smeared" effect. 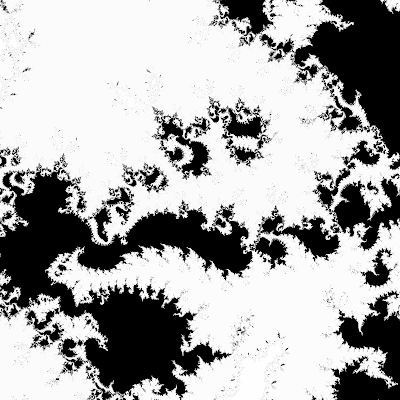 So, where the novelty hides? 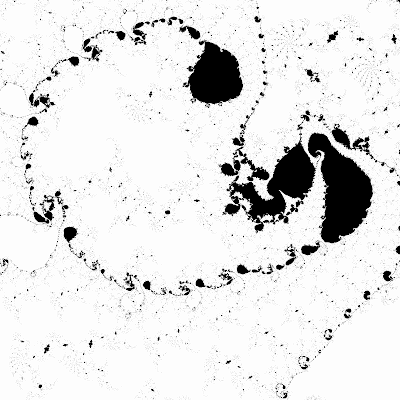 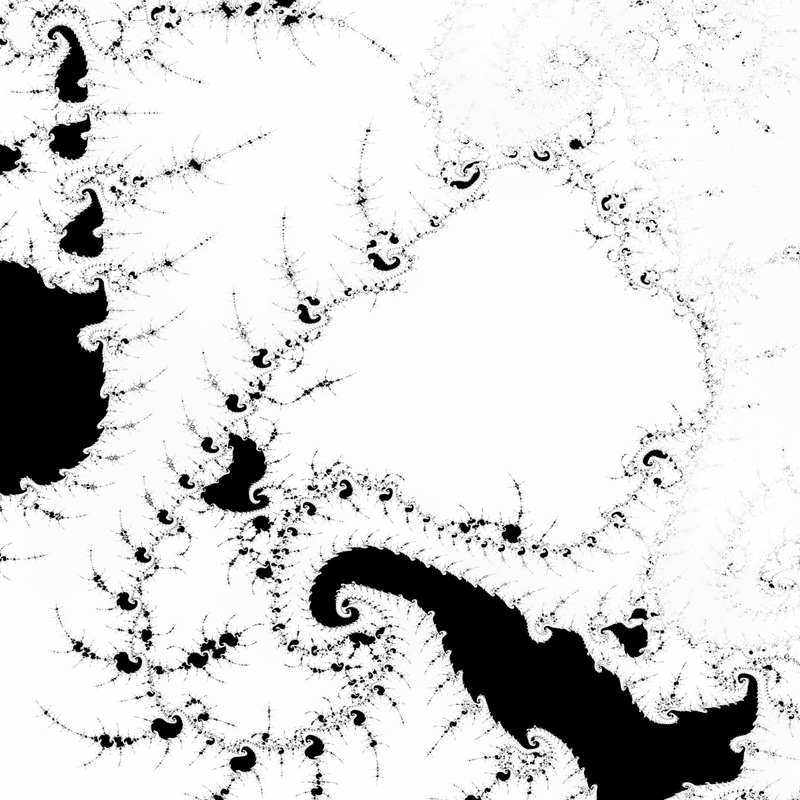 Meet the idea: the irregular Mandelbrot set. 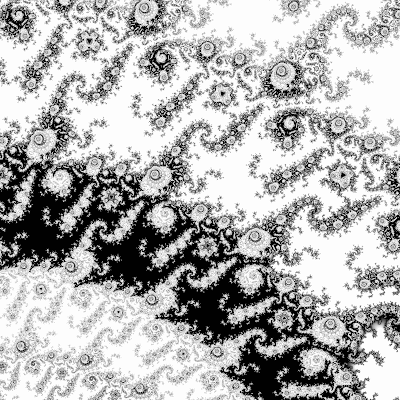 Where \(Idx(n)\) is a non-periodic function, returning integers in the range [1..k], and \(f_1(z),...,f_k(z)\) are the different mapping functions. 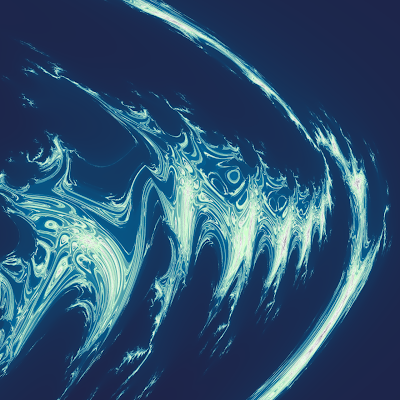 Non-periodicity guarantees that there are no stable cycles in Z. 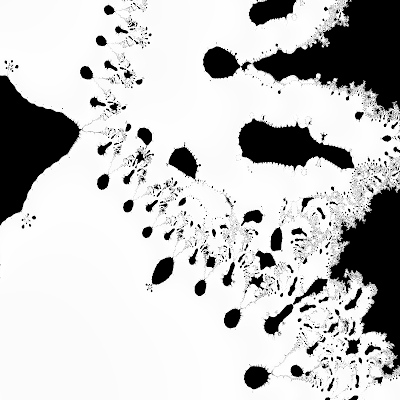 Black-and-white palette is not a requirement, but to my artistic sense, these fractals look better without colors. 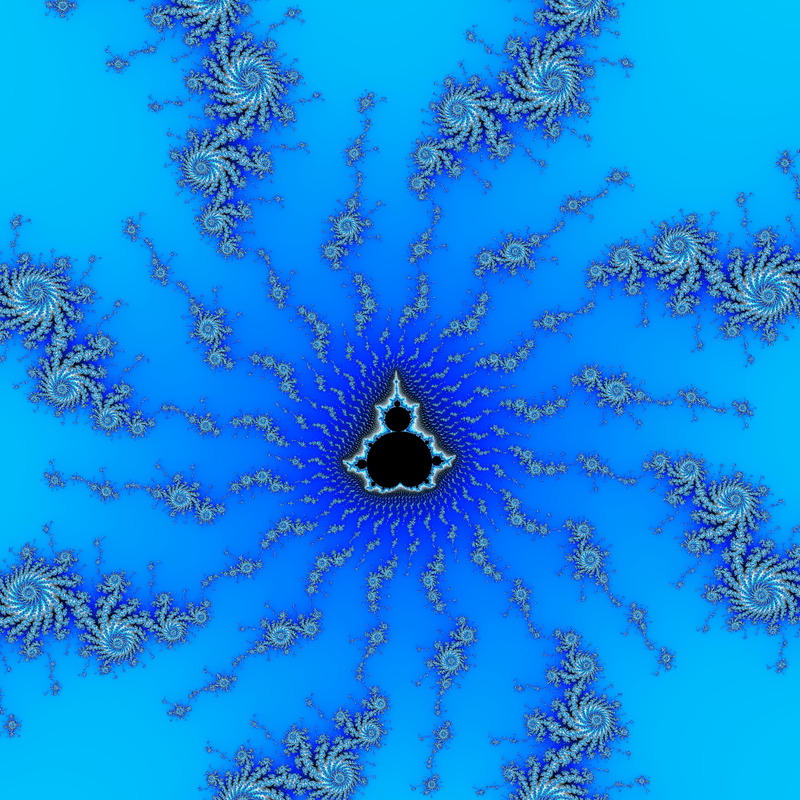 See more in the album. Did you mean ‘holomorphic’ instead of ‘homomorphic’?